The major risk event for the Nigerian economy will be the Manufacturing and Non-Manufacturing PMI reports for March that are being released on Wednesday and which should offer fresh insight into the health of the nation’s economy. Manufacturing PMI is projected to rise to 57.6 in March, while Non-Manufacturing will rise to 59.0 during the same month. A steady expansion in both PMI reports is likely to boost confidence over Nigeria’s economic recovery as the second quarter of 2019 gets underway. Bitcoin was one of the main talking points across financial markets today after suddenly climbing to its highest level since November 2018 above $5000. 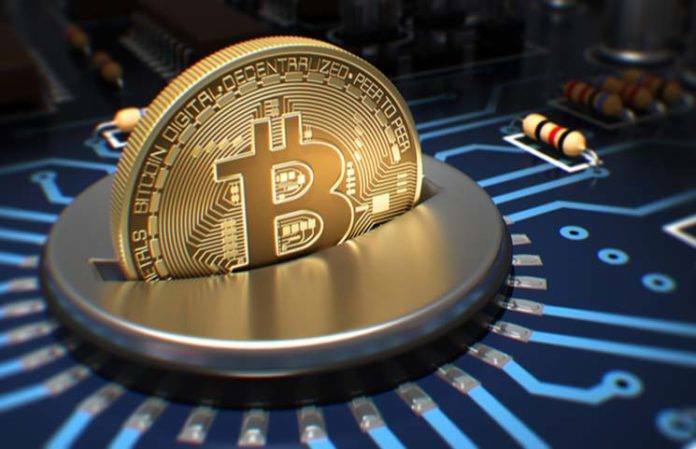 While sudden and explosive swings are nothing new in the world of cryptocurrency, Bitcoin has certainly struggled for direction in recent months as investors evaluated the possibility of its adoption by the mainstream. Although the reason behind Bitcoin’s aggressive 23% jump remains a mystery, it does suggest that bulls could be back in town. In regards to the technical picture, BTCUSD turned bullish on the daily charts after prices rallied from $4200 to just above $5100. With prices trading above the 200 Simple Moving Average and the MACD trading to the upside, lagging indicators suggest that Bitcoin has the potential to push higher. A solid daily close above $5000 will be needed to seal the deal for bulls. Alternatively, if $5000 proves to be a reliable resistance, Bitcoin has scope to retest $4500. Sterling remained bruised and depressed on Tuesday after UK lawmakers rejected all alternative Brexit options for a second time. This unfavorable development has created another element of uncertainty and confusion over Brexit at a time where investors are desperately seeking clarity. The United Kingdom now has until April 12 to either seek a longer extension from the EU, agree on an alternative Brexit plan or leave the EU without a deal in place. Market fears of the UK crashing out of the EU with no deal is likely to weigh heavily on the Pound and this was reflected in the GBPUSD. Taking a look at the technical picture, the GBPUSD is coming under pressure on the weekly charts. A breakdown below 1.3000 is seen opening a path lower towards the 1.2890 regions. The Rand entered the second quarter of 2019 on a firm footing after Moody’s delayed its credit rate decision on South Africa. Positive data from the United States and China also supported appetite for emerging market currencies, with the Rand falling into this category. Although the local currency weakened on Tuesday, this has more to do with an appreciating Dollar rather than a change in overall sentiment. If risk sentiment continues to improve on easing global growth fears and domestic data shows signs of stabilizing, the Rand has the potential appreciate against the Dollar. In regards to the technical picture, the USDZAR is likely to test 14.00 if the 14.14 level is conquered. An appreciating Dollar and improvement in risk sentiment have reduced appetite for safe-haven Gold. Positive economic data from China and the United States has eased investor concerns over slowing global growth, with equities and riskier assets back in focus. While Gold has the potential to sink further in the near term, the medium to longer term outlook remains in favor of bulls. Geopolitical risks in the form of Brexit, uncertainty over US-China trade talks and a dovish Federal Reserve are likely to continue supporting Gold. Focusing on the technical picture, the precious metal is likely to test $1280 in the near term. For bulls to jump back into the game, prices need to break back above the psychological $1300 level.